Ray Woodward is a 1979 graduate of Corrigan-Camden High School and played 5 seasons in the NFL. Former Corrigan-Camden Standout Earns Doctorate Degree, BEAUMONT, October 23, 2014 – In the world of collegiate athletics the focus is on wins and losses, but a head coach’s primary goal for every student-athlete when they sign a National Letter of Intent is for that student to receive his degree. 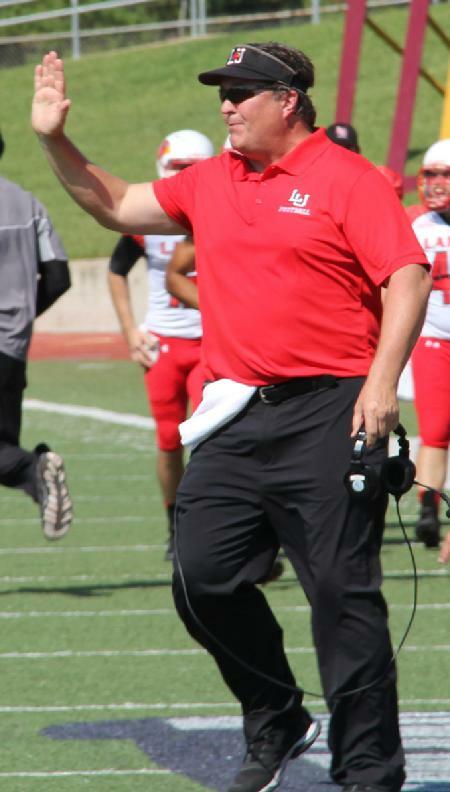 Lamar head football coach Ray Woodard is leading by example, as he earned his Doctorate in Educational Leadership Thursday afternoon. Woodard was honored by Dr. Jason Mixon, Director of Lamar’s Doctorate Program for Educational Leadership, at a small ceremony in the Dauphin Athletics Complex. Dr. Mixon gave a short speech to those in attendance which included LU coaches and players. Woodard’s process to pursue a doctoral degree may have begun three years ago, but he had been considering the idea for some time. Woodard joins a very select group of current Division I coaches with a doctorate degree. 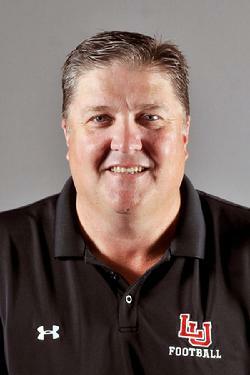 He is one of only six NCAA Division I coaches, and one of only three at the NCAA FCS level to have a doctorate degree. Among those six active coaches, only five earned their degree while one is an honorary degree. The list of coaches includes Terry Bowden (Akron), Norm Chow (Hawaii) and Mike Leach (Washington State). Woodard has the Cardinals off to one of their best starts in program history entering the open date with a 5-3 overall record. The Cards have already tied the record for the most wins since bringing back the program with four games remaining in the 2014 regular season. LU will be action Saturday, Nov. 1, when it hosts Houston Baptist. The game is slated to kick off at 6 p.m. from Provost Umphrey Stadium.